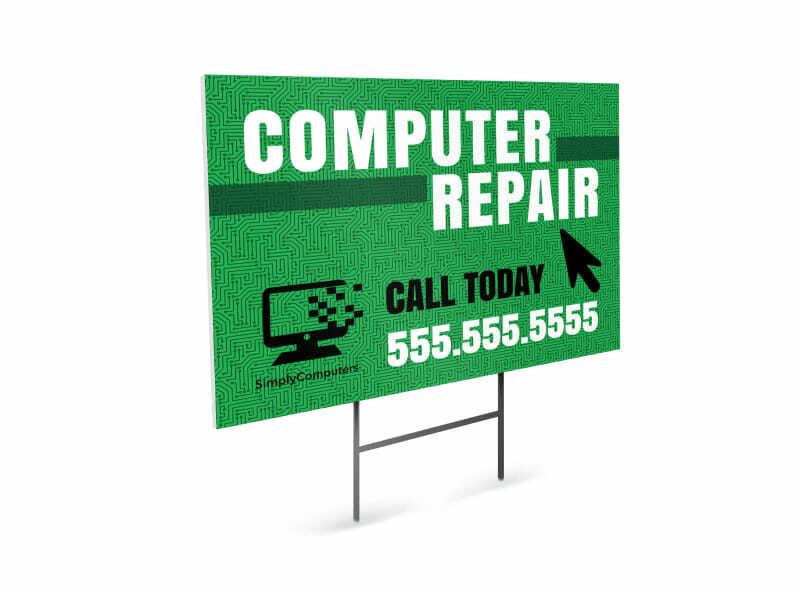 Customize our Green Computer Repair Yard Sign Template and more! 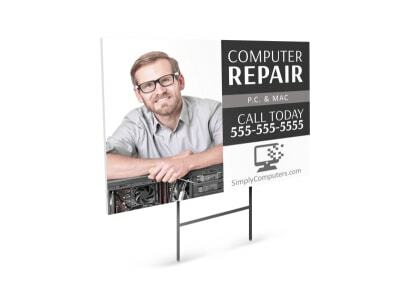 Your job is to keep computers running as they should, so let the locals know where to bring their malfunctioning devices with this yard sign you make yourself. 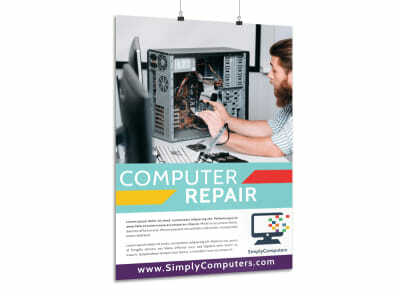 Use our online editor to customize your design with images, text, colors, and other elements of your choosing. 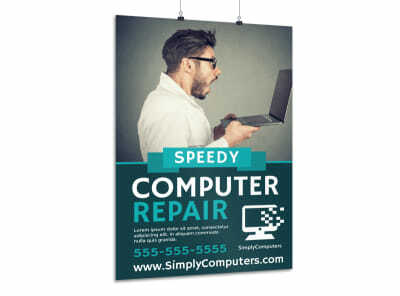 A few minutes is all it takes to bring your yard sign to life now!